After an especially busy period of mainly construction and artisan tasks, including Annual Camp in Romania, the R Mon RE(M) has settled back into the normal training regime. This weekend was devoted to infantry skills in line with the ‘back to basics’ direction. 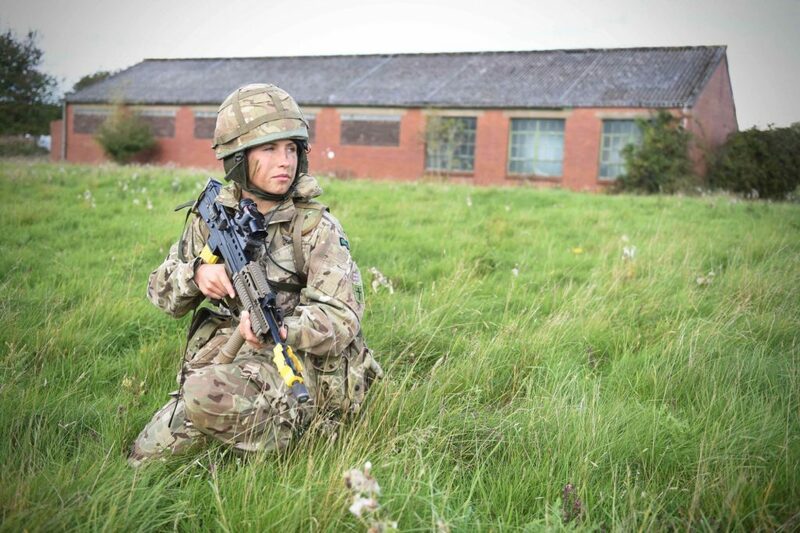 The Royal Engineers pride themselves on being soldiers first as everyone must be able to perform that function. 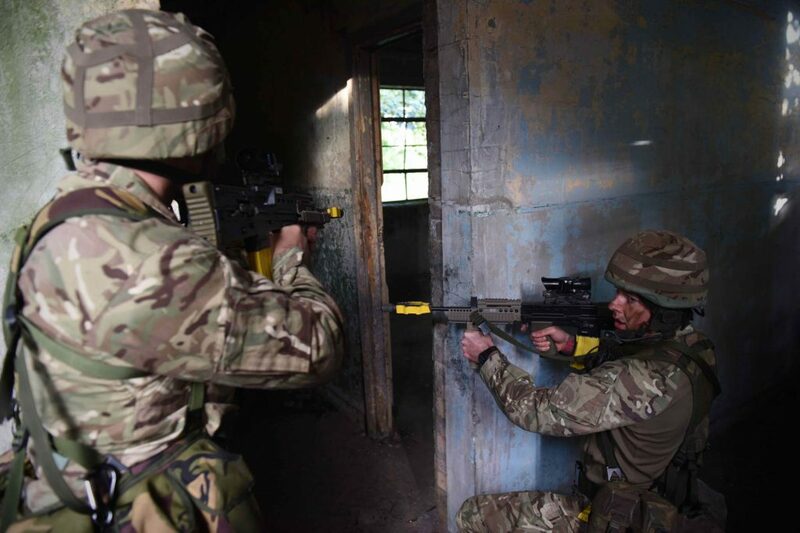 Over a hundred Reservists from across the Regiment’s 100, 225, Jersey and recently re-formed 108 (Welsh) Squadron sub-units gathered at Caerwent Training Area for an action packed weekend. With a view to safe training the weekend began with a safety brief introducing the different types of pyrotechnics that would be used to enhance the training over the weekend. This would include grenades and blank ammunition, especially during the building clearance drills. 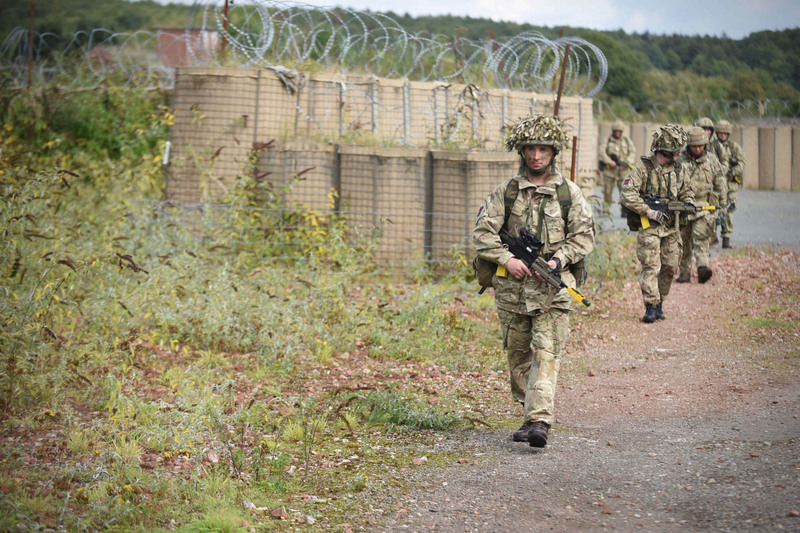 The weekend contained a number of stands that all soldiers would go through in order to blow out any cobwebs and refresh their skills as well as ensure that all drills were current. 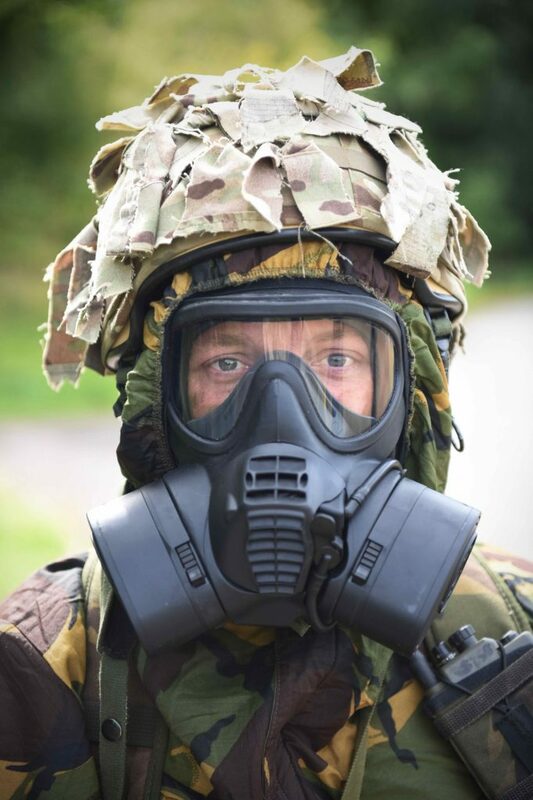 Saturday included CBRN (Chemical Biological Radiological and Nuclear) and Mine Awareness stands where the Reservists practiced operating within a CBRN environment wearing the relevant protective equipment. This does add an extra layer, literally, to performing any tasks and requires concentration on every aspect. Royal Engineers have a long history with mines though nowadays it is with the de-mining side. 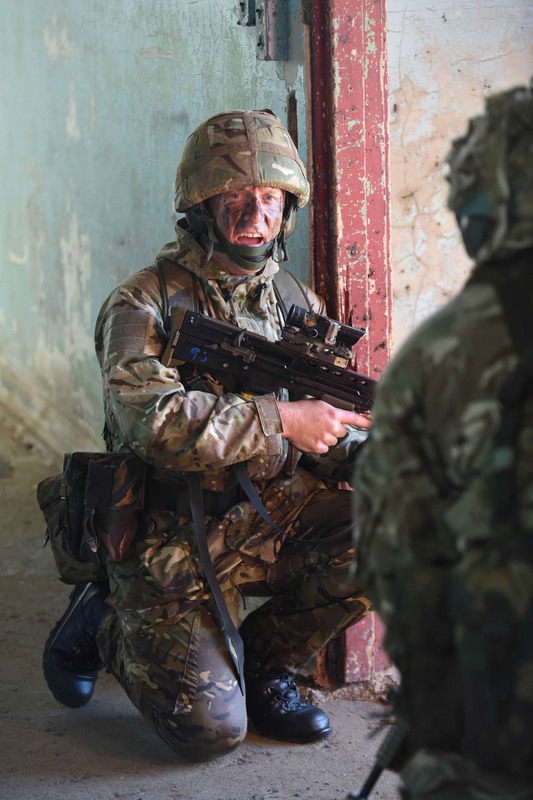 It makes sense for all soldiers to understand and recognise the threat of mines that they may encounter around the world due to the use that this weapon type has seen around the world. The day also included a vehicle recovery stand challenge, unfortunately this is something that can crop up so it’s a good thing to build into training-the AA/RAC aren’t always going to be a phone call away! 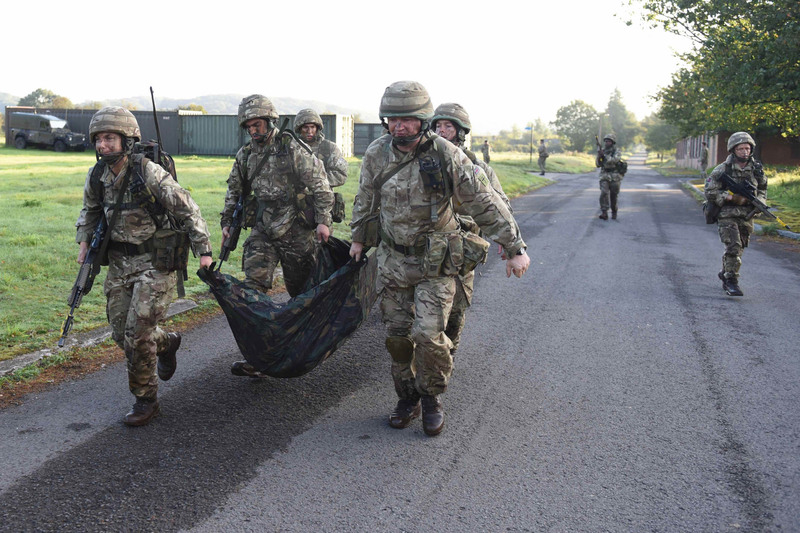 The following day the Squadron members performed an early morning attack on a building followed by a 1 mile casualty extraction. 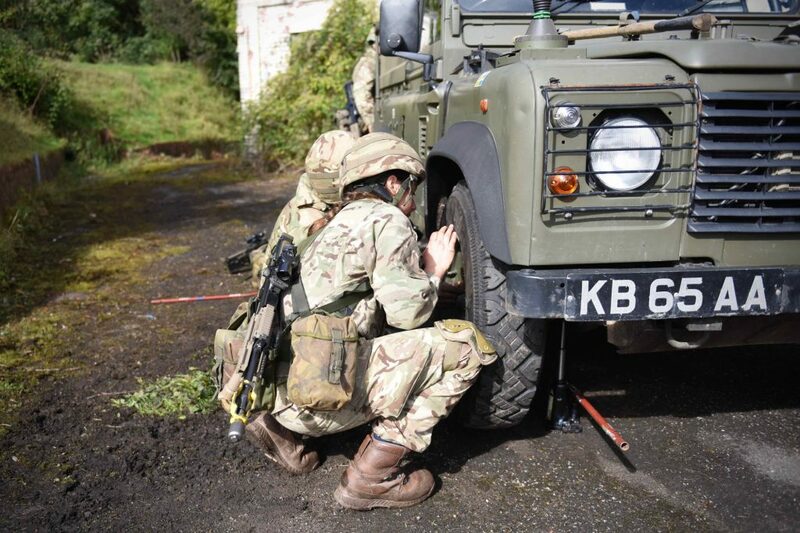 Our Cambrian Patrol Team members conducted their training alongside the main group. 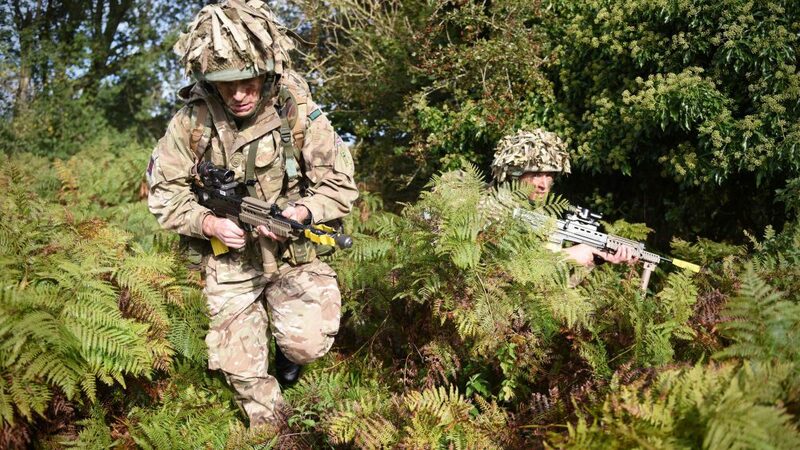 They have been practising for several months prior to entering this years Exercise which is run through October. 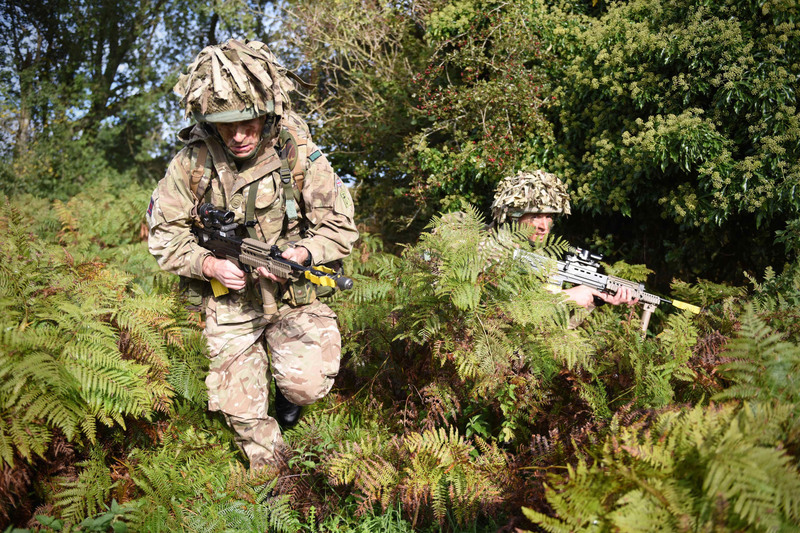 The exercise is a World Class event open to all three services with regular, UOTC reserve and international patrols also taking part. It is considered to be one of the most arduous and prestigious military events of the year. If you’d like to see more about The Royal Monmouthshire Royal Engineers (Militia) go to our Facebook page or see more photos here. Alternatively you can look at pyrotechnics, CBRN & Mines, Vehicle Recovery/Casualty Extraction/morning attack or the Cambrian Patrol attack.